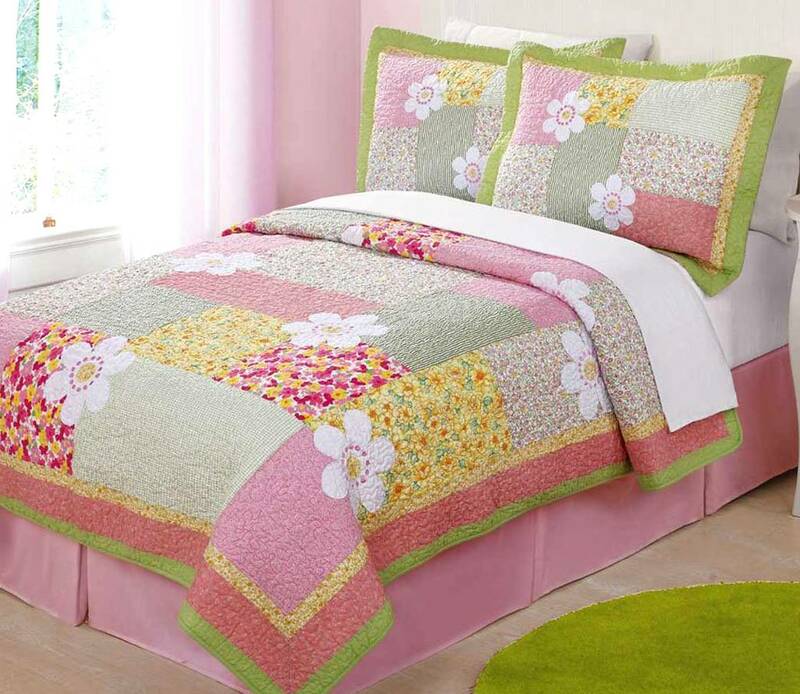 Add fun and fresh spring colors to her bedroom with this Julia bedding set. Quilted in alternating floral/butterfly, gingham and striped patchwork, then accented with large white flowers with embroidered centers. The use of Spring Fresh colors of pink, lemon yellow, apple green, and white truly blend together for a stylish ensemble. 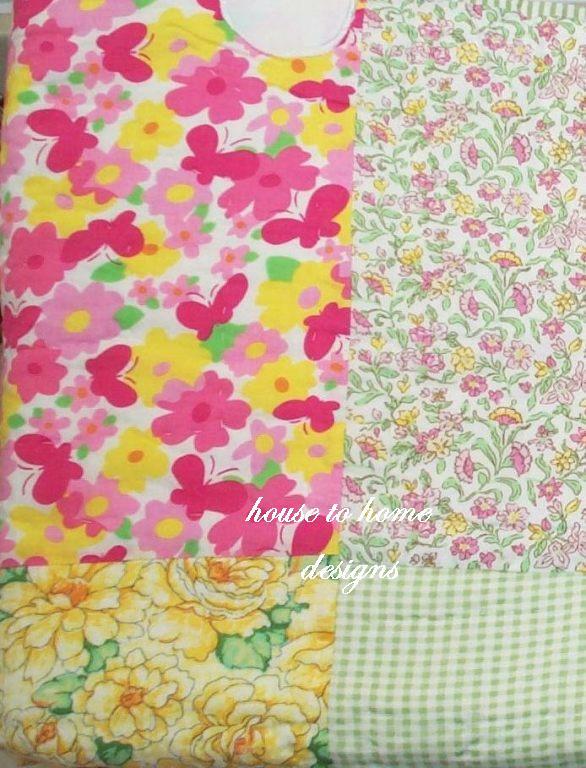 Reverses to the pink/green floral print. 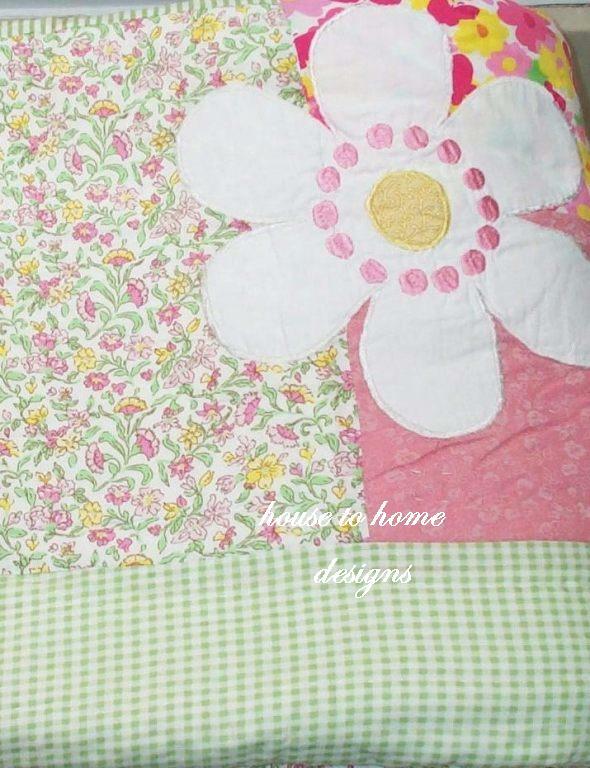 Set includes quilt and two shams (one sham with Twin quilt). Twin measures 68" x 86"
Full measures 76" x 86"
Queen measures 86" x 86"